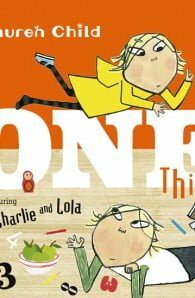 Charlie and Lola return in a perfectly funny, perfectly formed picture book that sees top negotiator Lola take on numbers in everyday life and bend them to her endearing and unique will. “One thing to share?” says Lola. 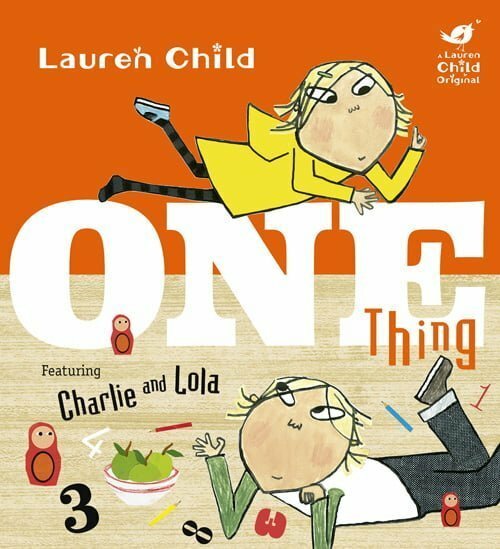 A brilliant book to introduce the non-scary nature of counting and sums to very young children, One Thing is vintage Lauren Child: an immediate and enduring classic to delight fans new and old the world over. Lauren Child is a multi award-winning, bestselling writer and artist whose books are known and loved the world over. She is the creator of many much-loved characters, including Clarice Bean, Ruby Redfort and Charlie and Lola. Since her first book was published in 1999, Lauren has sold over 3 million books in 19 languages worldwide. Her many awards include the prestigious Kate Greenaway Prize for I Will Not Ever Never Eat a Tomato, the Nestle Gold Book Award for That Pesky Rat and the Nestle Bronze Book Award for Beware of the Storybook Wolves. Lauren loves designing and making things and finds it exciting to see her drawings turned into objects. Other favourite things include the cinema, TV matinees, small Italian cars, handbags, cardigans, travelling and being picked up from the airport.